Tight on time? Stick with the 3 Key Takeaways and The Basics. These will provide your athletes with a solid foundation for understanding leadership characteristics. • Just because somebody is an effective leader doesn’t necessarily mean they are a good one. Case in point: dictators. • There is an ongoing debate as to whether good leaders are born or made. According to research, leadership is approximately one-third genetic and two-thirds learned. In other words, you can learn to be a good leader even if it doesn’t come naturally to you. Although many qualities form an effective leader, there is always one common theme: their choices, behavior, and perspective make everybody around them better. Swimming Olympic gold-medalist Peter Vanderkaay (PVK) knows as well as anyone how a good leader should lead by example with confidence, courage, and compassion. 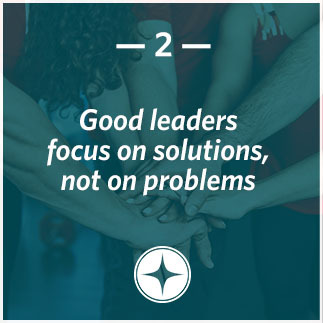 Instead of focusing on problems, leaders like PVK focus on solutions, and also let others shine in order to achieve a common goal for the team. You may have heard the phrase “talk is cheap” before, and throughout Peter’s career he’s met many athletes who “talk the talk” but don’t “walk the walk.” Put another way, there are athletes who boast and brag about their accomplishments, hoping they’ll be looked at as leaders, and then there are others whose actions in and around competition speak for themselves. Peter’s coach always reminded him that actions speak louder than words, causing Peter to create a self-described “culture of excellence” around his practicing, competing, and perspective on the sport. 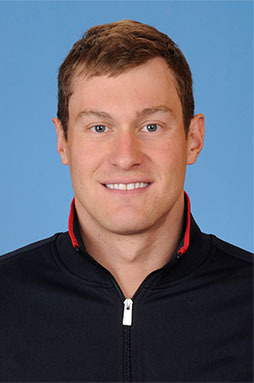 Peter credits his ability to lead by example as the reason he was selected as co-captain of Team USA’s swim team at the 2012 Summer Olympics in London. The team set a collective goal to earn over 30 Olympic medals; surpassing this mark would set a new Olympic record. As a leader of that team, Peter had to be completely invested in everyone’s individual success in order to reach the team goal. The team worked together under Peter’s leadership and brought home a recordbreaking 31 medals, which represented 30% of Team USA’s total medal count across all sports at the London Games. 2. Do you agree or disagree with Peter and his coach about actions speaking louder than words? 3. 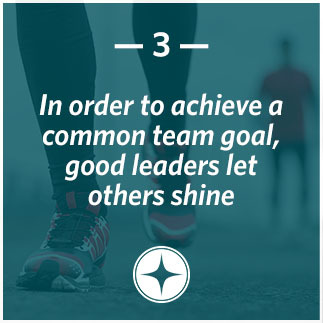 How can you practice being a better leader in your sport? Away from the computer or internet access? Use this printable version of the online lesson. Use this 15-minute activity to reinforce the lesson with these guided discussion questions about leadership. Have your athletes think about and identify with the characteristics of a positive leader on this short worksheet. 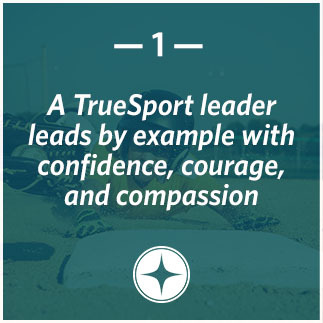 Celebrate your group’s completion of the lesson on leadership with this special TrueSport Certificate handout. Sign-up to receive Leadership resources!